Are you ready to be a part of #GiveBigPittsburgh? It’s a day to celebrate all the good going on in our communities! 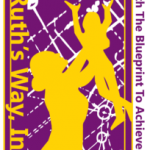 On this day of giving back, please consider making a donation to Ruth’s Way to help increase the quality and quantity of Achievement Consultants who help little girls all over the world to achieve their most successful futures possible, decreasing their chances of becoming “AT-RISK YOUTH”! In just 24 hours you can make an impact in the lives of little girls around the world! Consider Ruth’s Way for #GiveBigPittsburgh. Take five minutes to give to Ruth’s Way, and REPOST this message! Your donation of any amount will help! *Just give, and pass the word on, it’s really that simple! Hey, Ruth’s Way is looking for an INTERESTING INTERN!! !